Many small businesses struggle to deliver their products and services on time. Many owners spend their time putting out fires instead of growing the business. Many are plagued by costly mistakes. These businesses are in chaos. Chaos exists when important work and critical tasks fall through the cracks as they are either performed incorrectly, at the wrong time, or simply not at all. 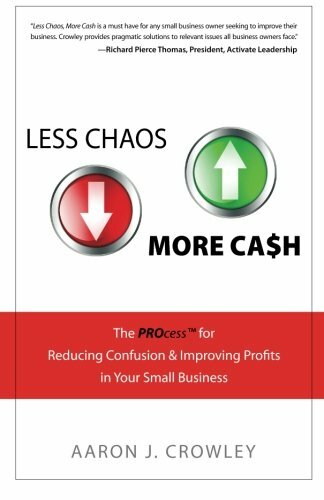 The solution to this problem is a process…a process so you can enjoy Less Chaos, More Cash.